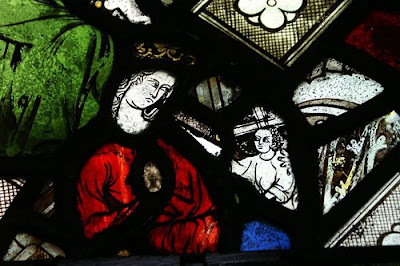 A small figure of Our Lady and the child Jesus, fourteenth century glass set amidst predominately fifteenth century glass fragments in a south aisle window. Patron Saint of this Blog. Edwardus Rex - Ora Pro Nobis!